As we all try to grapple with the loss of our dear friend Oneil McGean, his family has asked for our help again. You may know that Oneil had two gorgeous small dogs—Guinness, a dachshund, and Brandy, a small mixed breed—that he doted on. They are currently in Mazatlán with a family that is taking good care of them. However, Oneil’s brother, Chris, who lives in Phoenix, would like the dogs with him. Are any of you driving north anytime soon and would be willing to take the dogs up with you? Chris is offering to cover your expenses and he can drive pretty much anywhere on the US side of the border to pick them up. This is a great way to help a friend, a fellow expat, or even just get your gas and tolls paid for! If you are willing to help, please contact me or Oneil’s brother Donnie. The dogs’ paperwork will be taken care of so all you need to do is transport the dogs, Donnie assures me. I’d also like to share that the family will hold a Celebration of Life Memorial Mass on December 3, 2016 at 11am at the Shrine of the Most Blessed Sacrament Church, 3630 Quesada St., NW, Washington DC. There will be a wake immediately after the mass at The Barking Dog, 4723 Elm St., Bethesda, Md. Here in Mazatlán, Tracey Grantham and Nan Rob are planning a memorial for Oneil on the same day as the one in DC, Saturday December 3rd. They don’t yet have details, but will soon. Stay tuned. Rest in peace, Descansa en paz, mi amigo querido. We miss you terribly. 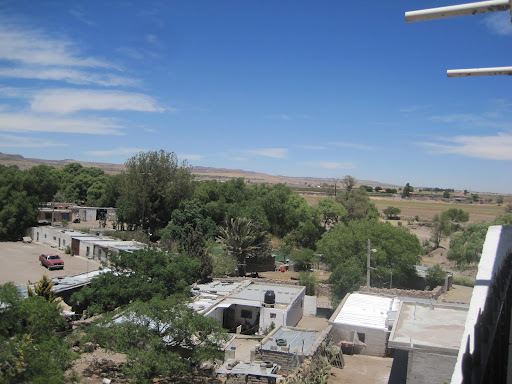 Machinez is a small town, or pueblo about 15 minutes by car outside of Zacatecas. The residents we know there call it their “rancho”. The rancho has no governance, no police department, no real services. This somewhat organized series of houses, farms, lots and makeshift streets is home to about 250 families. There is a school and a couple of tiendas selling the basics of beer, refrescos and food staples. Most residents raise some portion of their own food, be it meat, produce or both. There is a soccer field and a park of sorts with a few old children’s slides and swings. There is a river crossing through town. The river was fairly dry on the day of our visit, but in rainy season is a force to be reckoned with. The river is a major source of water as we saw tinacos and water trucks being filled from the river. Most homes have electricity and some plumbing (but not much). So, from this brief description, you may be asking why I have decided to dedicate an entire blog post to the subject. Well, the point of this post has nothing to do with Machinez per se, but about how we came to visit there this day. The story that unfolds in Machinez occurs throughout Mexico time and time again. It is a story of hard work and resolve to improve one’s life and one’s family’s life. It is a story of the proverbial analysis of risk/reward. And yes, for us, it is a story or reconnecting with friends we have not seen in years. 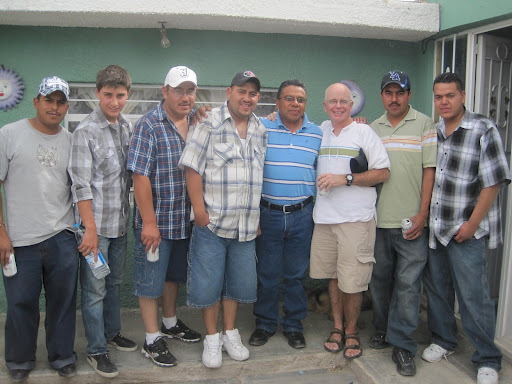 The friends we came to visit are like many other Mexicans. They are recent returnees from the United States having braved the perilous border crossing to get to a city where a friend or a cousin says they can get work. 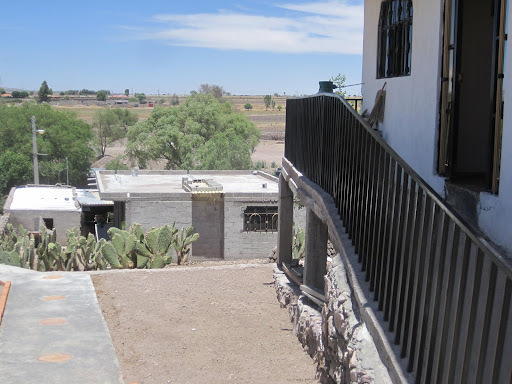 The hope of that work is promise to the families of the ranchos. 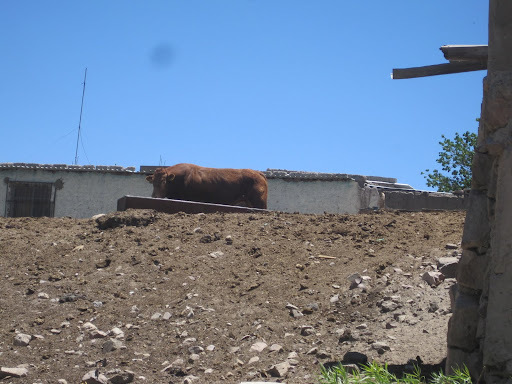 You see, it is with the money earned in the States that the ranchos are able to survive. We spent considerable time at two houses on this day – the house of Alvaro and the house of Eduardo. Both of these young men started as dishwashers in Kansas City. Both showed great potential, the willingness to learn English and the desire to get ahead. Eventually they both became cooks during the busy lunch rush. They routinely put out between 100 and 200 lunches of extremely high standard meals under the guidance of a C.I.A. trained chef. They became leaders in the kitchen as they continued to absorb the culture of the workplace and of the States. The plight of the illegal immigrant is widely publicized and debated. This blog is not about that debate. Is grounded in the facts – like them or not, these are the facts. As Alvaro and Eduardo continued to work hard and grow as cooks, they hit a ceiling of sorts. They were illegal. They were forever limited in their employment opportunities. And, they were lonely. Eduardo and Alvaro were both single and aside from a few cousins in town, void of social opportunities. Living in the shadows of Kansas City, they hesitated to venture out. A broken turn signal can domino into a bus ride to Tijuana and the loss of everything. Also, going out cost money and was seen as frivolous spending. Like many others, to relieve the loneliness and boredom they took a second job. A second job fills the time, provides additional social interaction and keeps the money coming in. This after all is the goal. We can fall in love with these guys all we want, but our love is not going to keep them around. They are on a mission. Years ago, the goal was to make a life and then bring everyone else up to share in the new life. This has changed dramatically due to the legal/political climate. Now, the goal is to make enough money to build the house back home, buy the car, put the sister through college, pay for dad’s eye surgery, whatever. Rare is the visitor who finds a way to stay permanently (marriage, sponsorship, etc.). And so it goes in Machinez. The houses that Alvaro and Eduardo have built are some of the finest in town. Big and strong, nicely appointed, two levels high with incredible vistas, they are symbols of a success found by taking off for five to ten years and working really really hard towards a goal. Each has surrounding land with crops and a few livestock. Each is connected to or very close to family homes, also very nice. Their efforts provided economic stimulus for the rancho. The jobs provided were local jobs. The supplies were purchased from locals and money went back into the community. Alvaro has since married. He has a beautiful baby girl and another on the way. Eduardo is still single—but working on it. As they tour us through their homes, they proudly show pictures of their family and point out which cousin or in-law is still in the States. These family members, they tell me, are making the same sacrifice they did in the name of getting ahead. They are missed by many, especially the older family members who realize that they may not live long enough to see their son or daughter’s return. Yet, they understand the reality of the situation. Alvaro and Eduardo’s lives are quite simple. They work, they celebrate life. They enjoy beautiful weather and scenery. They listen to music everyday (often played by the family band). They share everything with their friends and family in town. This includes their homes and their SUV’s (brought down from the States). They don’t have cell phones, Internet or cable TV. 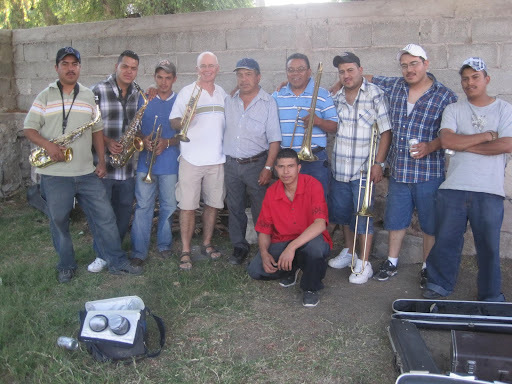 They drink some beer, dance to banda music and retire for the evening. They have little or no crime in their clean community. They don’t have a mortgage or credit cards. They can and do live on very little. If they weren’t under 40, they would sound like they are living the life pursued by retiring gringos. But they are not retiring gringos. These young men are starting families; they have financial responsibilities and need to work. No problem, right? They are well trained in the kitchen. They cook better than many chefs and restaurateurs that I know. They are certified in serv-safe, understand cross utilization, understand wine basics, can lead a team, can work with vendors, and speak two languages. But you see a great cook in the States, even one that has worked for ten years at an exclusive upper-end dining establishment is nobody in Mexico. To get the attention of a kitchen manager they need to have a degree from a vocational school specializing in culinary arts. They need to have diplomas from Mexico and they have none. There is an outside chance that they can find a friend of a friend in the food industry to introduce them to someone, but it a chance not worth waiting for. Instead, my two friends are gas station attendants. They receive a minor minimum salary and cash tips. They work various shifts, but all are long –both days and nights. Their jobs are dead end to say the least. They work along a busy highway and risk getting robbed or worse. They spell of gasoline and other chemicals when they return home. Like many workplaces in Mexico there are poor sanitary and safety conditions. What does the future hold for my two friends? I really don’t know. They will not return to the States unless there is a major shift in politics that offers some sort of path to legalization. They would love to cook again and have a job with some potential. Being technically uneducated and from a “rancho”, their options are very limited. There houses will survive almost anything thrown at them and they will always be able to work enough to keep food on the table and the lights on. With any luck they will have children who are able to go one step further, finish school and get a job with some promise. Until then, the beautiful sunset on the western horizon of Machinez will usher in another session with the local band. The moms and daughters will dance with each other and the few men not in the band. As night falls, they will turn in with the adventures in the States a distant memory until the next time a certain gringo comes to town for a visit. And don’t worry, he will. Warning – this is a long and potentially complicated little story, but it is a typically wonderful slice of everyday life in our new home. I had arranged to meet Jesús at noon in front of his office. Jesús is the agent who sold us our major medical insurance coverage. He signed us up for a plan that has discounts for three things: having an account with their bank, paying automatically from that account and paying one year up front. So far so good, right? 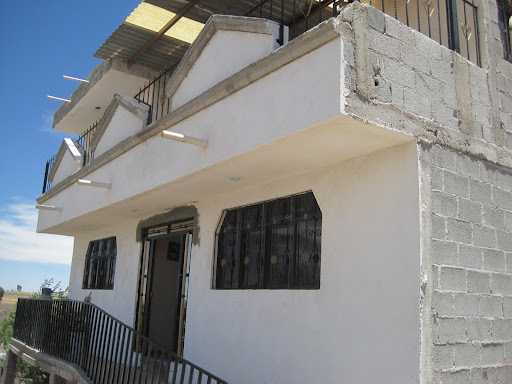 We set the account up with the minimum balance of 30,000 pesos about ten days ago. He was there to help us (by the way, did I mention he speaks no English and very much enjoys my Spanish?). When we made the deposit, we had to pay a government tax of 2.5% on everything over 25,000. Not a big deal, just a surprise. I assume that this is Mexico’s way of getting a piece of the underground economy that exists here, but who knows. Anyway, the problem is that the insurance costs just over 30,000 and we have to maintain the minimum balance. We realize that we need to deposit 35,000 more. Jesús remembers that we don’t like paying the tax and, being the kind and helpful guy that he is, he tells me he has a way to get around it. The plan: meet him at noon, go to, for lack of better words, the telegraph office by the post office in El Centro. Deposit the money, which gets recorded as a transfer instead of a deposit, and thus no tax. Sounds very strange to me, but okay, we’ll go and learn. I pick him at noon on the busiest street in Mazatlán. I hate driving on Ejercito Mexicano. It is always packed and dangerous. I know where we’re going, but not his way. I know parking will be a you-know-what—it always is. We get to the general area of the office uneventfully. We start looking for a parking space. Learning #1 – the relaxed approach to finding a parking space. He directs me through a series of four right turns covering about a three block radius. Very patient, never frustrated, prepared to drive all day if necessary. We don’t see a singles spot. He doesn’t comment, other than instructing me repeatedly, “a la derecha” (to the right). We find a spot three blocks from the office. As usual, there are car wash guys on the street. I am in the habit of always saying no. I say no, the guy gives me the sign of he’ll watch my car for me. Great, I think. He then asks me again if I want the car washed—he points out that he has fresh, clean water. I remember that Dianne wants the car washed so I ask how much. He says three dollars. I say no. As I am about to say 30 pesos, Jesús takes over and says 20 pesos. I guess I have always paid too much! They go back and forth and can’t agree. Then they start negotiating the time it will take. The guy says 30 minutes. Jesús says 15. The guy finally comes down to 25 pesos; Jesús simply tells him we’ll pay 20 and we’ll be back in 15 minutes. Learning #2 – Only pay 20 pesos to have my car washed on the street. We walk to the telegraph office. Dark windows, no sign, it looks abandoned. There are two large counters inside. One is labeled Telegraph/Fax. The other has no label and has two staff members behind a teller cage with computers. There is a large banner hanging on the wall behind the counter, and it has the logos of all the utility bills you can apparently pay here. There is only one customer and he is a blind guy who is just finishing up something. Jesús tells the guy we need to deposit money. He asks for my account number and name. I give him that and he proceeds to push buttons on his computer. The application he is using is web driven and he keeps getting web errors. At this point I am not optimistic. As the “teller” works on this, he and his fellow staff members are giving directions to the poor blind guy on how to get out of the office. “Derecha!” (right), they yell, but the blind guy keeps going “derecho” (straight). He has an old wooden stick that he is trying to use and he is about to walk into a white moto-scooter parked in the lobby of the office (don’t ask). The guy apparently is not just blind, so Jesús goes over to walk him out the door. Learning #3 & #4 – Help blind people and don’t park your moto in a telegraph office lobby. When Jesús returns, the teller is midway through telling me that the bank has rejected my money. Jesús asks him to try 30,000 pesos instead, then 25,000, then 20 and finally 15. No luck; we are rejected. At this point, I have invested 30 minutes and for 20 pesos hope to have a clean car. I don’t mind paying the tax, I explain as we head back to the car. No problem, Jesús tries to explain. He has another plan where we put money in some other account(s) (his maybe?) and then transfer them to mine. Not fully understanding, I nod and appear to be distracted by the passing circus advertisement. What is a circus advertisement? It is a caravan of six or seven very large cages on trailers pulled by large pick up trucks that parades through town followed and led by mini trucks with loudspeakers repeating how great this circus is and why you need to take your kids to it. As we walk, we see five tigers, four camels, one buffalo, two zebra, and a few miscellaneous other animals. We turn away from the circus parade towards the car. The car appears to be clean. It has the standard “finished” symbol: wipers sticking up and away from the windshield. The guy who washed our car is not around and someone else is in his place. There are four guys on the street all washing and parking, but my guy has apparently moved to another part of the street. Jesús says to get in and we’ll pay as we turn the corner. We drive about ten feet when one of the other car wash guys stops me to have me roll down the window. He wants 40 pesos. I tell him no, 20, and no, not to you. Jesús takes over and they jabber back and forth about 40 pesos and 20 pesos and the gist of it is this guy says they never clean for 20 and he wants to get paid. Jesús says to give him 20 and drive away. Traffic has opened up in front, I am getting beeped at, and so I agree. I hand him 20 and drive away. The guy we paid walks ahead and greets the guy who did wash my car and hands him the money. That guy looks at me like I have robbed him. I lock the door, roll up the window and drive away. 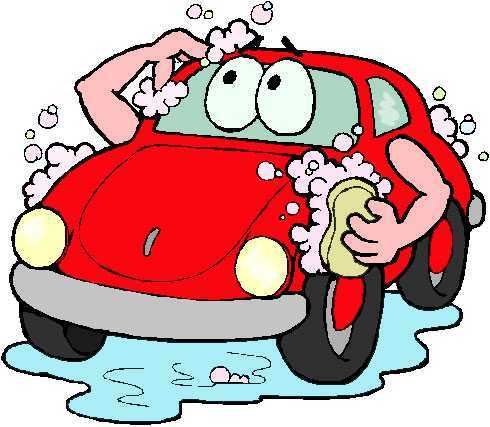 Learning #5 – Maybe 20 pesos is not enough for a car wash.
As we turn on the one-way street to get back to the Avenida Del Mar, I see really bad news. We are now in the middle of the circus caravan. For the next 12 minutes, I listen over and over to the announcement as Jesús and I practice the Spanish and English words for all of the animals. With the help of some desperate pulmonia drivers, we create a second “lane” and attempt to get around the circus. Doesn’t work; the circus parade is too damn long. The police officer who could be helping direct traffic is too busy with his camera phone taking pictures of the African safari passing by his intersection. A few minutes later, we do get back onto the Avenida Del Mar and head back to Jesús’ office. I find parking one half block before his office and tell him that we’ll be walking. Parking?—American Style. Very effective. As we walk in the bank, he tells me to wait for a minute. I then clearly and strongly tell him in Spanish that I have taken too much of his time today and I am happy to pay the tax (besides this, there is no line at the moment, a rarity in Mexican banking). He smiles and says he will wait for me. They have a silly rule about no more than one person at the window at one time. I guess thieves travel in pairs or something. I manage to deposit my money quite easily and no tax is ever spoken of. Great! I tell Jesús the good news about no tax as I prepare to leave and, unbelievably, he goes over to talk to the teller! He returns and without mentioning anything about taxes, tells me that I have to go back and collect my contracto. I go back and she asks for my account number and passport. I give her my passport and a piece of paper with my account number. She hands back the passport and says, in Spanish, “no, yours.” I look at what I thought was my passport and see that I have been carrying Dianne’s passport around all day. Great, sure glad the telegraph office didn’t need it. We go back and forth about my Kansas driver’s license and why it is curved and why you can’t read the address and yes, that is me, just a few years ago, please, please please. No, evidently whatever this contracto is, it can’t be given to just anyone. Final answer, I will need to come back mañana. Learning #6 – Don’t carry anyone else’s passport other than yours. Time invested so far, about an hour and ten minutes. Money, 20 pesos for a mediocre car wash. My next job is to go shopping and get food for lunch and get home in time to cook before Danny gets home. I decide to go to the Old Ley as it is close. I get my cart and proceed to the back of the store where the milk always is. I need milk, apples, bananas, and something for a main dish. I park my cart in the middle of the aisle and walk over to grab some milk. I find two with good dates and as I am walking back to my cart, the power goes out. Lesson #7 – There are no emergency lights in Old Ley. The old women start screaming, the staff starts hooting and I reach for my cell phone in the hopes of getting a little light in the midst of jet-black darkness. A few hundred feet away there is light coming in through the front door, but none of it can reach those of us in the bowels of the refrigerated section of the store. In a few seconds, one phase of the power comes back on. This gives some light, no air, and no refrigeration. In my mind, I’m thinking how often does this happen and no wonder the meat is funky sometimes. I get home two hours after I left. I made a bank deposit, bought some excellent pork, got the car washed, practiced Spanish with my new friend Jesús, and if I ever need to send a telegraph I know where to go!